The Bug Boys: Vee Dub Club Cruise and some Alan Jackson to end the day! Vee Dub Club Cruise and some Alan Jackson to end the day! I had a heck of a day yesterday. 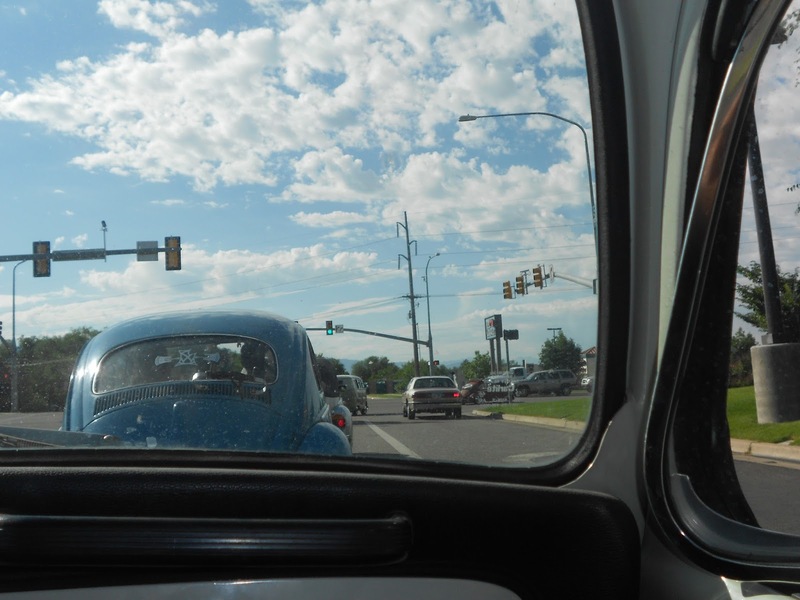 Isaac and I started out the morning taking the bug up to Layton. We met the Vee Dub Club under the flag at the Layton Hills Mall. 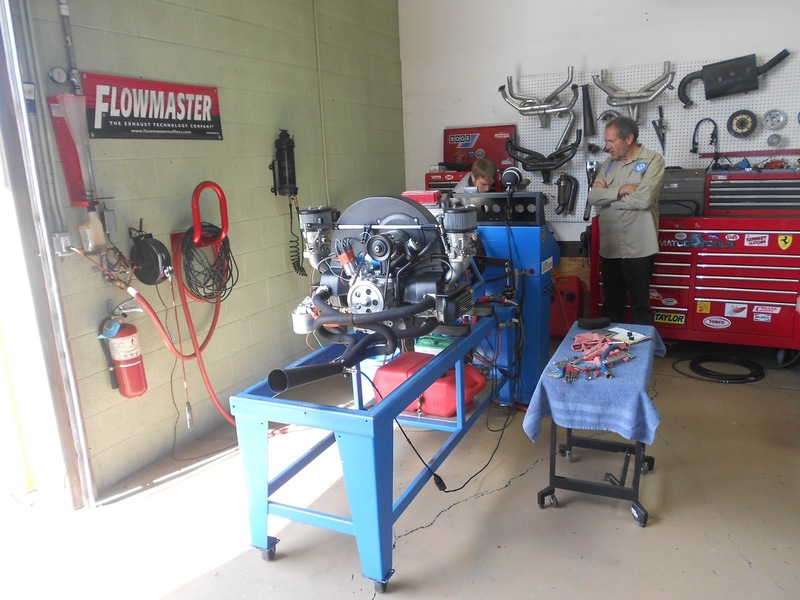 The club had been invited to go to Blackline Racing and check out the engine they built to giveaway at the no show car show. 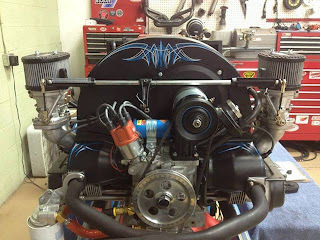 They were going to do a final dyno tune on it and add some pinstriping to the sheetmetal. 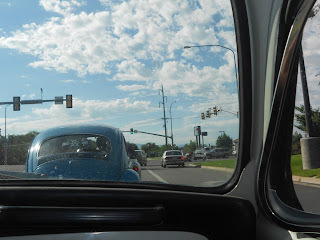 It is always fun cruising with a bunch of VW's so we went to Layton to meet them. There were 8 of us that met there and we all cruised down to Murray to Blacklines shop. The weather was perfect for a cruise. Here is when we all took off about to get on the freeway. 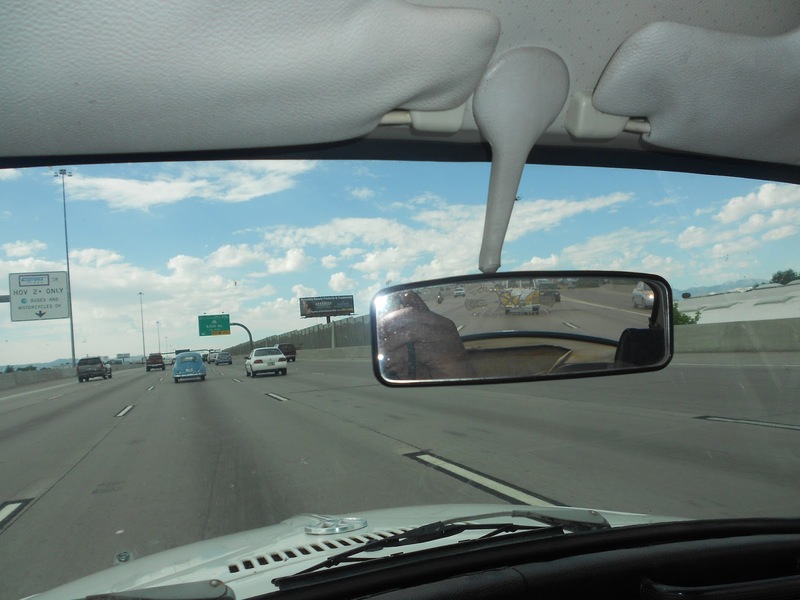 You can see the bug in front and a bus in back of us. It was a blast and no one broke down so that was good. 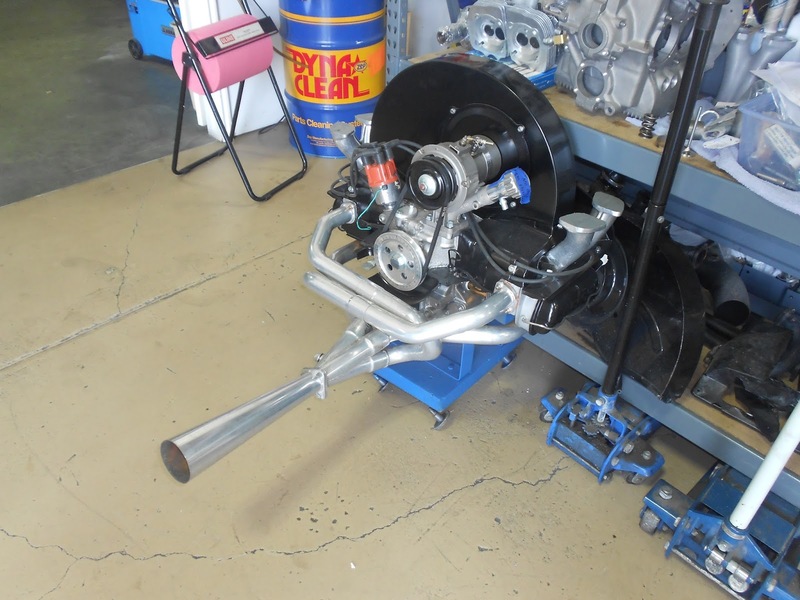 This is the engine that they are raffling off at the no show. It's a 1776 with dual carbs. It ran really good and is pulling about 116 horsepower. That's impressive because a stock 1600 engine has 50 horsepower. The engine is hooked up to the dyno and it was LOUD! 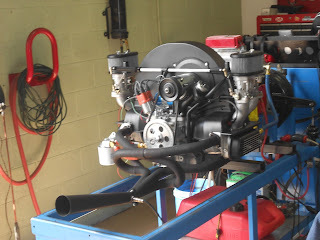 I would love to win this engine. It would wake Ed right up. Here they are running it. It was really impressive. 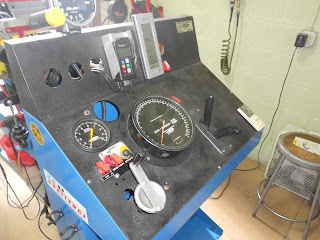 This is the control panel of the Dyno. Brian is pinstriping the dog house in this picture. 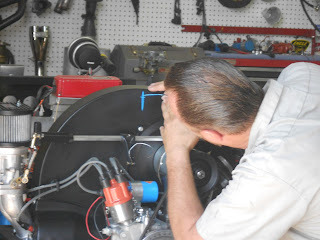 He pinstriped my vise. It takes a lot of talent to do this. And, here is the final product. It looks as amazing as it runs! 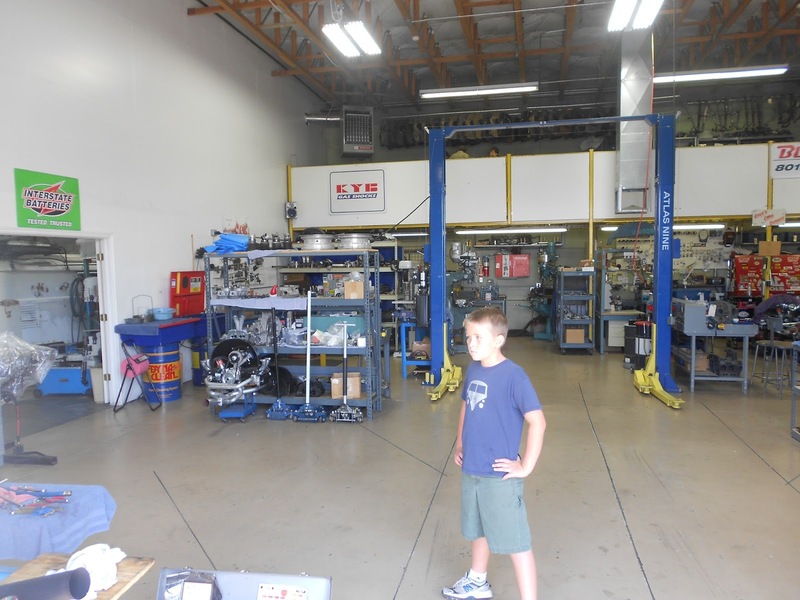 Issac loved the shop. It is packed full of all kinds of VW engine stuff. They specialize in VW's and they have everything to do it. They let us go all over their shop and look at things. It was awesome. They had 2 mills, a lathe, brakes, shears etc.... They also have the talent and equipment to weld aluminum and magnesium. 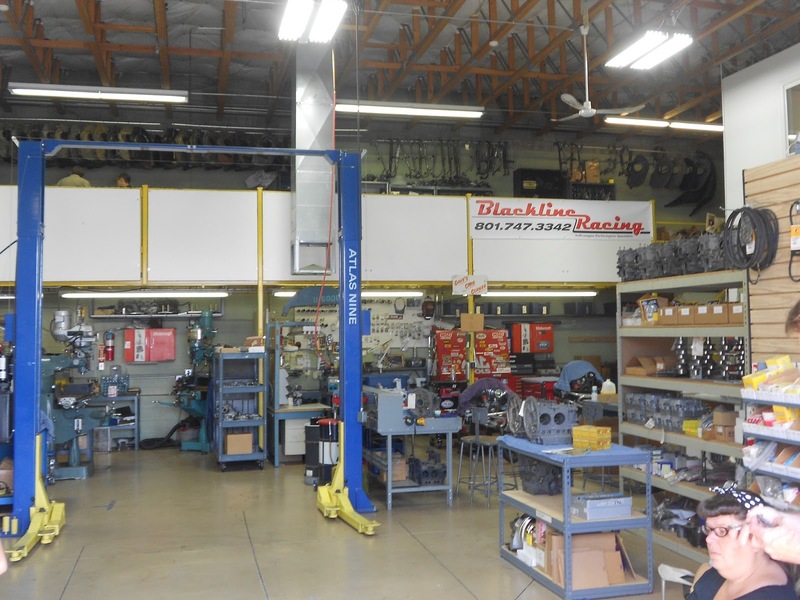 It's a cool shop. I think this engine was one they had installed in a bug that they raced at the salt flats. It went 140 MPH. Me and Isaac took off from there and had some lunch. 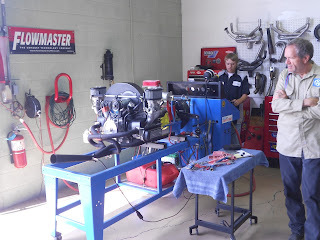 We then spent the rest of the afternoon working on the trailer getting it ready to go to bear lake. 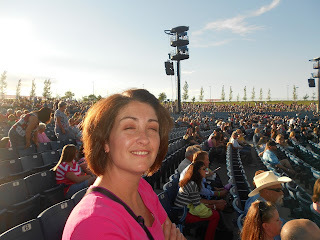 Dixie and I had tickets to see Alan Jackson that night at USANA. We drove the bug because driving the mini van on a date just isn't very cool. Here's my hottie waiting for the concert to begin. 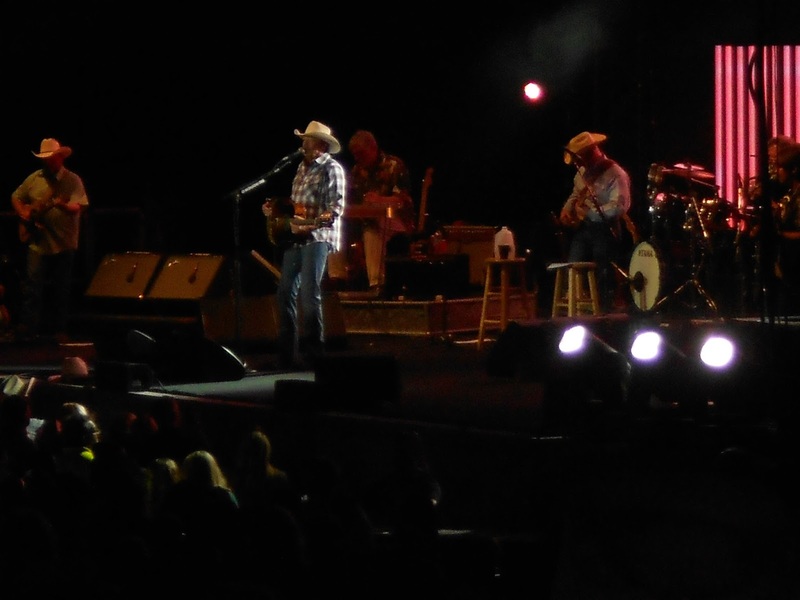 Our seats were pretty good and we had a good time. Here he is at the beginning of the show. 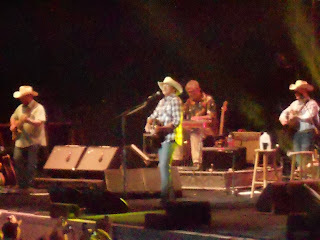 He sounded as good live as he does on his albums. He played all his great songs also. I normally don't pay to see concerts because I am cheap but he is my favorite singer and Dixie likes him too so we went. It only got better as the night went on. We had a blast! I would pay to see him again. So that was our awesome Saturday. It was a blast and the weather was really nice all day long. It was low 90's but that is so much better then the triple digits we have had lately. There is more fun stuff coming our way so stay tuned. Taking a stand against boring commutes! Fun at Lagoon and of course some cool cars!